View the entire table of contents for the Oct. 15, 2011 issue. For a true taste of San Sebastián, head to the Parte Vieja, or old town. Though it's less than a square mile in size, it offers an endless variety of distinctive and entertaining pintxos bars that can satisfy every hunger. Wine Spectator's Per-Henrik Mansson explains. 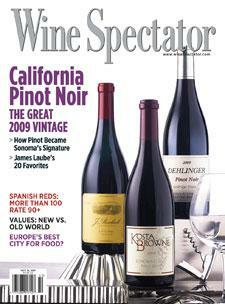 For the full article, check out the new issue of Wine Spectator, on newsstands September 20, 2011.